A lot of numbers remain unused. The numbers are for Windows XP and Vista. A lot of the error numbers will work for older systems also. 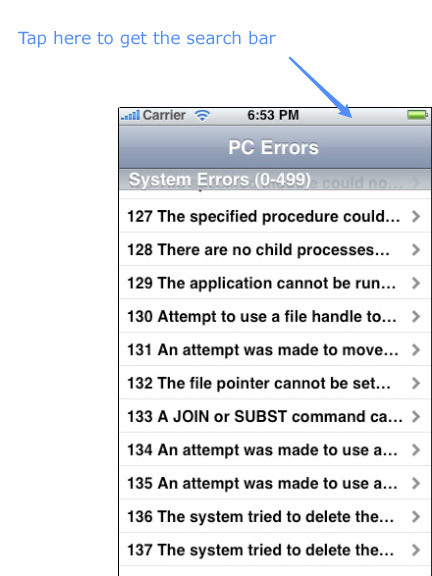 It also includes device manager errors from 1 to 49. Those errors are listed as (devMgr) in PC Code Sleuth. If you do a search for an error number between 1 and 49, you will see two results listed. 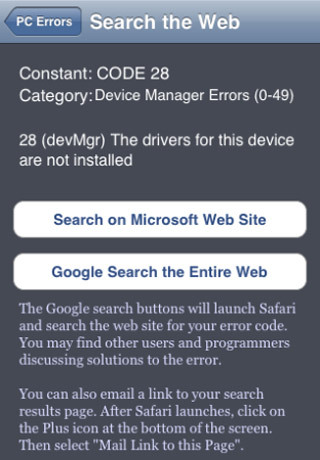 One is a device manager error and the other is a system error. Numbers above 49 should be unique. 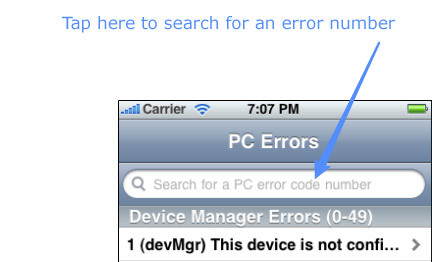 Programmers can use their own error codes which may be different than system error numbers or device manager numbers. Those numbers are not included in PC Code Sleuth. Carnation Software does not provide support for nor guarantee search results for error codes found on the web with PC Code Sleuth. In other words, we are not going to troubleshoot your PC for you. But there is a wealth of knowledge on the web and we hope to point you in the right direction with our Advanced Google searches.